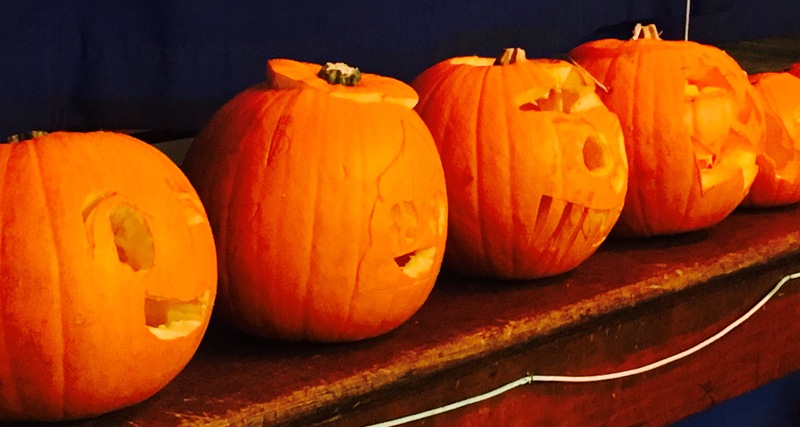 Today is pretty much the last day this year for carving your pumpkin and displaying it outside, either as a lantern, to represent the light of departed souls, or to ward off evil spirits – All Hallow’s Eve, Samhuinn and Diwali festivals all coincide with this time of year. In Scotland, the tradition is to carve turnips (neeps), and many will be out tonight to celebrate Samhuinn festivities in Edinburgh and to “guise” – the Scottish equivalent of trick-or-treating. The word pumpkin comes from the Greek word pepon (πέπων), meaning large round melon, via the French word pompon. The pumpkin is part of the large winter squash family, and there are many varieties of pumpkins. The pumpkin is known as one of the Three Sisters (the two others being corn and beans), in a classic example of Native American companion growing. When the corn has sprouted a few inches, the soil is mounded up around the base and beans and pumpkins are planted. The corn stalk acts as a natural trellis for the bean vines, and the beans put nitrogen in the soil for the corn. The large pumpkin leaves give cover for the soil, keeping moisture in, and provide shelter for the shallow roots. This works best in dry, arid conditions and therefore might not be well suited for Scottish environment – let us know if you’ve had some success with this in the UK. Nutritionally, pumpkin meat is very high in antioxidants – such as carotenoids (orange color pigments), lutein and zeaxanthin – which scavenge free radicals and therefore help protect against cell damage which can lead to disease. Pumpkins also have a lot of iron, zinc, and fiber. The seeds contain magnesium, zinc, and omega-3 fatty acids, which makes them beneficial for a variety of conditions, including the menopause, prostate disease, inflammation and diabetes. Clean your scooped out pumpkin seeds. To remove the shell (it’s safe to eat this but I prefer to remove it), spread the seeds on a flat surface and roll a rolling pin gently over the seeds to lightly fracture the shell. Place them in boiling water and the shells should slip off (this takes 5-10 minutes). As the shells come off, take the seeds out, drain and dry on a paper towel.Toss them with 1 tsp olive oil, salt and a 1 tsp smoked paprika (pimentón), spread out on a baking sheet, and roast them at about 120°C for around 25 minutes until they are crisp and golden brown. In a saucepan, put the chopped meat of a medium pumpkin (or/and turnip), one chopped white onion, one chopped carrot, and grate in a 2cm piece of fresh ginger. Add 1.2 litres of hot vegetable stock and bring to a simmer. Cook covered for 25 minutes until the vegetables are soft. Puree in a blender until smooth. 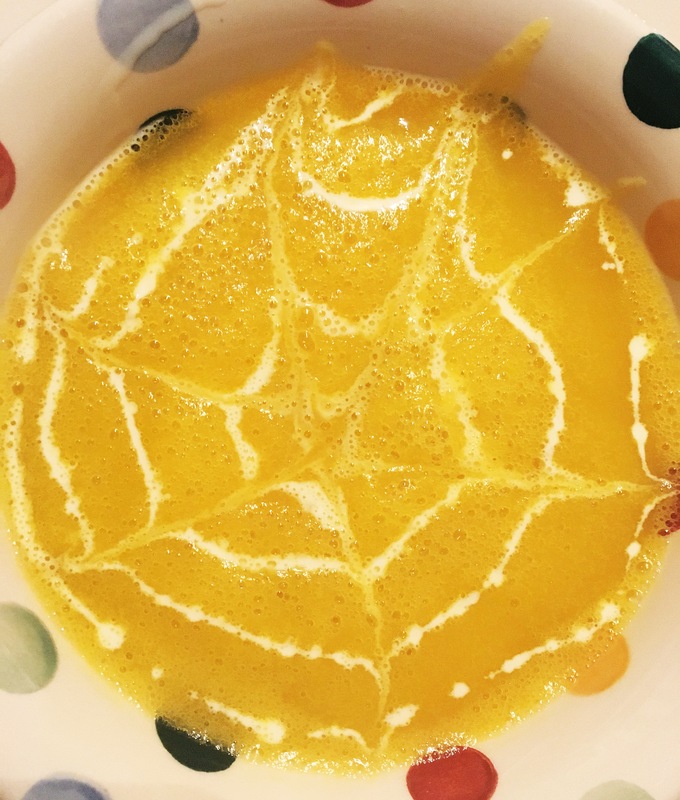 Serve and create a spooky spiderweb pattern with 2 tbsp coconut cream and coconut milk whisked until thickly runny. 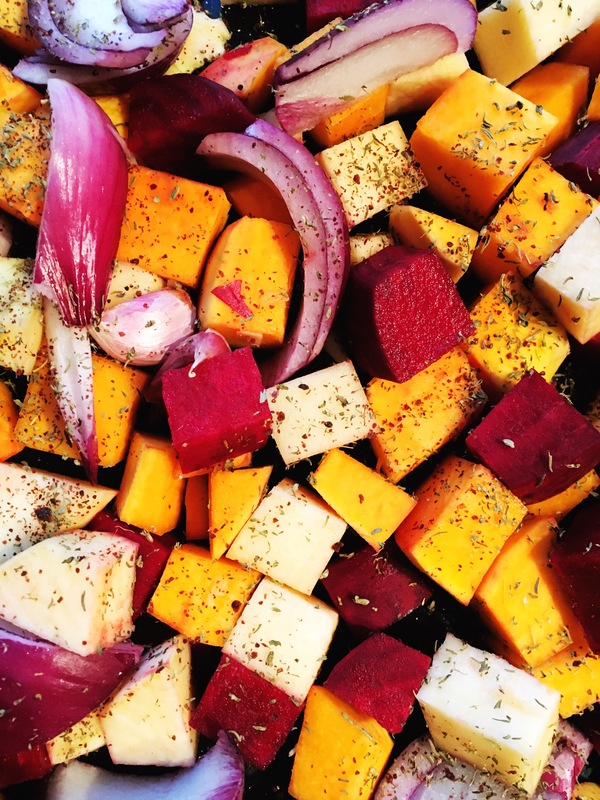 Cube the meat of 1 pumpkin, 1 butternut squash, 1 large beetroot and 1 turnip, and add to a large roasting tray with 2 quartered onions, 4 unpeeled garlic cloves, 2 tsp thyme and 2 tsp sumac (optional). Season with salt and pepper, toss in 1 tbsp olive oil (or coconut oil) and roast in a preheated oven at 200ºC for 40 minutes. You could make this delicious chutney recipe now and give jars of it as a gift for Christmas, as it will keep for 6 months. Use up any jars you have been collecting, and create lovely personalised labels to make the present even more special. You can find the recipe here. 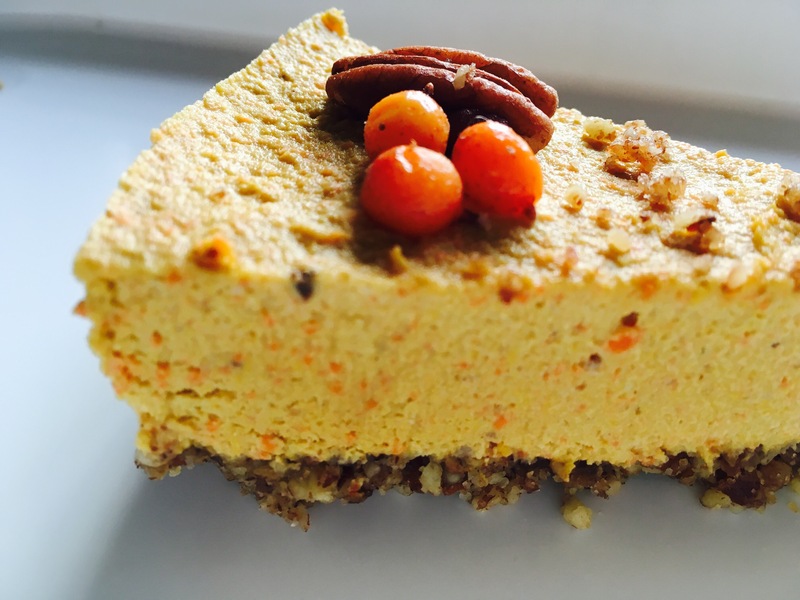 To keep this pie cheesecake raw, you will need to slice the pumpkin into max 5 mm thick pieces and put the pieces in a dehydrator for 6 hours at 65°C. If you do not have a dehydrator, you can still make this cheesecake by roasting your pumpkin in a low oven (120°C) for 2 hours, turning the pieces over after 1 hour. It won’t be raw, because the pumpkin will have effectively been cooked, but it will still be delicious. If you’re roasting the pumpkin, it probably will not require rehydration – depending on the type of pumpkin you have.